Welcome to our encrypted file transfer page. The security of your Personally Identifiable Information is very important to us and in order to protect your data we ask that you use our encryption service below to make sure that your Documents and Data are safe. 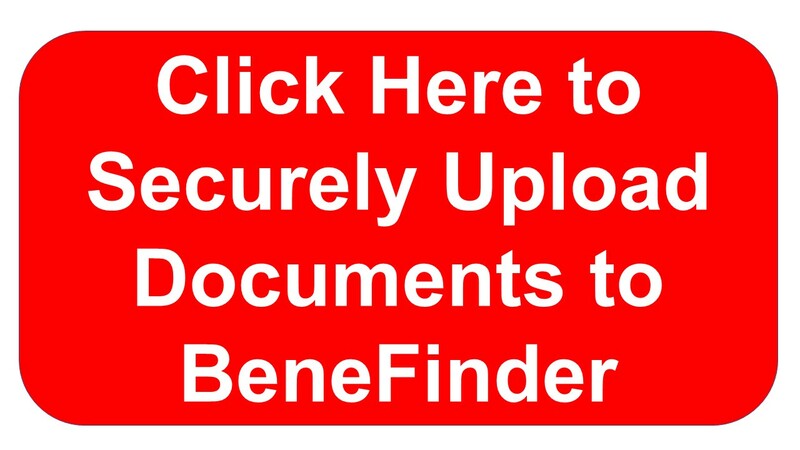 To use our free encryption service just click on the Red Send Secure to BeneFinder at the top of this page and once you are redirected click on the Secure Send Envelope to start sending your message. If you have any questions about this or any of our services please feel free to give us a call or fill out the Question box to the right of this page.